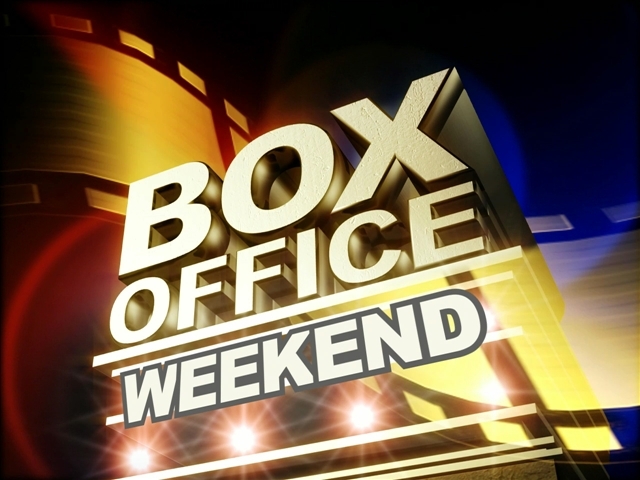 For a second weekend in a row Sony's Jumanji: Welcome to the Jungle takes the weekend's top spot, this time holding off three new wide releases over the Martin Luther King Jr. holiday weekend as well as Fox's nationwide expansion of Steven Spielberg's The Post, which finished in the runner-up position. As for the weekend's three brand new releases, Lionsgate's The Commuter managed to exceed expectations while both Paddington 2 and Proud Mary fell a bit short. Meanwhile Fox's The Greatest Showman continues to attempt to make up for its soft opening, dropping just 14% in its fourth weekend in release. With an estimated $27 million, Sony's holiday smash hit Jumanji: Welcome to the Jungle finished atop the weekend box office and is expected to deliver a four-day weekend approaching $34 million, which would push the film's domestic cume near $290 million. Internationally, the film roared into China this weekend bringing in an estimated $40 million, pushing it's worldwide cume to $667 million. Jumanji's final major market yet to see release is Japan, where it is scheduled to hit theaters on April 6. Finishing in second is Fox's nationwide expansion of Steven Spielberg's The Post, which brought in an estimated $18.6 million over the three-day weekend and is expected to finish north of $22 million for the four-day. The film received an "A" CinemaScore and played to an audience that was 55% female vs. 45% male and 66% of which were over the age of 35. Delivering a third place finish over the three-day is Lionsgate's The Commuter, which outperformed Mojo's forecast, delivering an estimated $13.45 million and is expected to finish with $16 million over the holiday frame. The film received a "B" CinemaScore from opening day audiences, playing to an audience that was 54% male vs. 46% female and of the overall audience, 83% were 25 years or older. Finishing in fourth is Universal and Blumhouse's Insidious: The Last Key, dipping an expected 59% for a $12.1 million three-day and is expected to finish around $14 million for the four-day weekend, which would push its domestic cume over $50 million. The fourth film in the Insidious franchise also added another $17.7 million internationally this weekend as its worldwide cume climbs over $92 million, pushing the franchise's worldwide total over $460 million. Rounding out the top five is Fox's second film in the top five, The Greatest Showman, which continues to deliver stellar week-to-week numbers. This weekend it dipped just 14%, bringing in an estimated $11.8 million for the three-day and is expected to finish around $14.5 million for the four-day weekend, pushing its cume north of $97 million. While the film's opening weekend was certainly soft it has shown great legs ever since, delivering the best holds each of the last three weekends among wide release holdovers in the top ten. We are still waiting on its international performance this weekend as of publication. Disney and Lucasfilm's Star Wars: The Last Jedi dipped even more than expected after losing 1,142 locations this weekend, down 52.5% and finishing with an estimated $11.27 million for the three-day. The film is expected to bring in ~$14.7 million for the four-day pushing its domestic cume just shy of $595 million. Additionally, with an estimated $19 million internationally the film's worldwide cume climbs to $1.265 billion, passing Beauty and the Beast to become the tenth largest worldwide release of all-time. It isn't until seventh that we find WB's release of Paddington 2. The studio picked up the film from The Weinstein Co. as it looked to offload the picture before filing for bankruptcy protection. Unfortunately, despite a 100% rating on RottenTomatoes the film didn't catch on in North America, delivering a meager $10.6 million for the three-day, which the studio anticipates will climb to $14.5 million for the four-day opening. The film's opening weekend audience was 57% female and 55% was over the age of 25. Screen Gems' Proud Mary also delivered a soft opening based on expectations. Finishing with an estimated $10 million for the three-day, the film is expected to deliver a $12 million four-day debut. The film received a "B+" CinemaScore from opening day audiences of which 58% were female and 77% were 25 years or older.